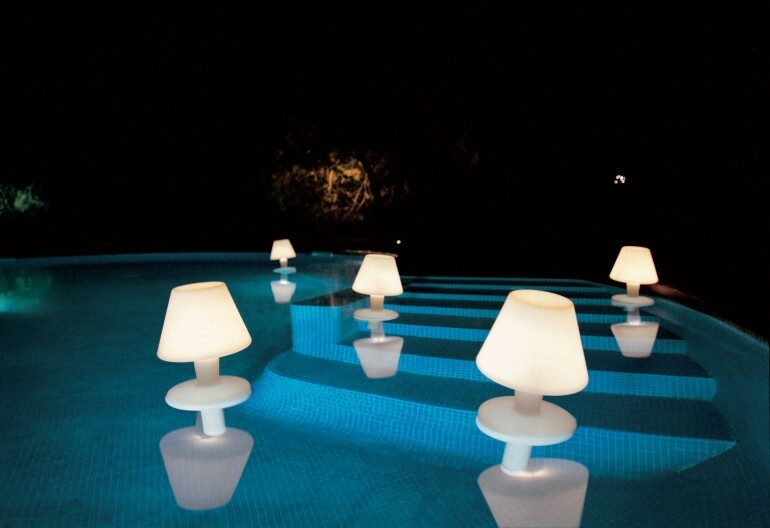 A light designed for use in the water: swimming pools, fountains, lakes … During the day the lamp stands upside down and out of the water in the ‘off’ position. At night it is thrown into the water where it floats in the ‘on’ position. Produced in rotation moulded polythene, the lamp is waterproof, powered by a rechargeable battery, which lasts up to six hours. The project deals with the importance of the context and plays with our perception of objects. The result is a new typology in lighting, characterised by the surreal and magic relationship of the archetype of a lamp and the water.